Amazing Spider-Man #593 Cover (2009) SOLD SOLD SOLD! Click Here To See Amazing Spider-Man #593 Comic Book! Check out this beautifully illustrated example of Joe Quesada's work on Amazing Spider-Man #593. 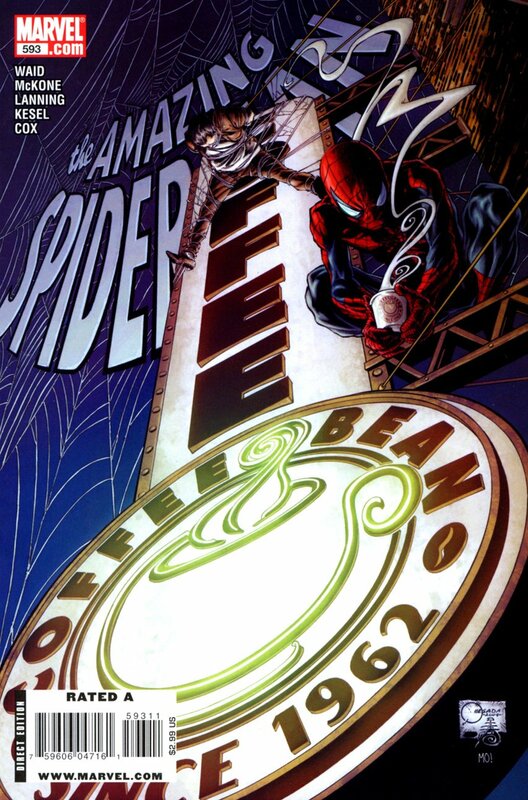 Marvel's new superstar, Quesada uses perspective to its finest to create one of the most dynamic Spider-Man covers ever engineered. This exceptional cover is only one of a handful of Quesada ASM covers ever done and truly shows the immense depth of his skill and talent. 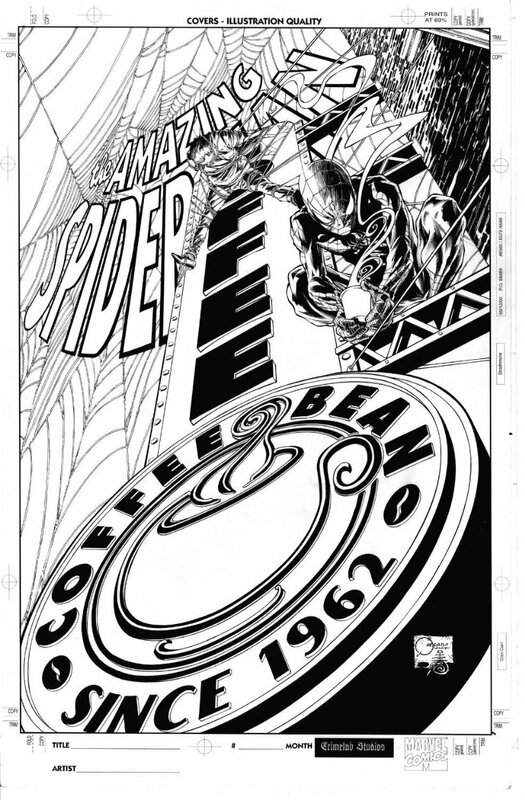 Inked by the hugely gifted Danny Miki, this cover even calls out the inception of Spidey himself with the large Coffee Bean sign and the established date of 1962. Act fast as this cover will not be around long. Compare this stunning cover art to the published comic book in the red link above! ALL HIGH end pieces of art, including this one, are able to be purchased with VERY fair time payment plan options! Just send us an email to mikeburkey@aol.com and we can try to work something out.